When I first got in to the country I spent hours at the Claro Office trying to get the internet working properly in the area I live. While I am very familiar with the internet services in the US, trying to understand what was offered in the Dominican Republic wasn’t always easy. It didn’t help that, although I was in the main Claro office in La Vega, most of the people behind the counter didn’t understand their services either. That was three years ago and I would assume they have gotten a little better, but to get you started I’ll outline the basic services offered and the prices I know. Although the prices are subject to change this should at least give you an idea of the cost. Internet comes in two basic forms in the DR, wireless (using the cell towers) and hardwired. You can get either of these in a prepaid payment plan or postpaid (like what most of the plans in the US). Just a quick note. If you or someone you know has a Claro phone in the Dominican Republic, Claro will give an extra 44% on any minute buys over 100 pesos. This is a pretty good deal so if you have family or friends in the DR this is a good time to Gift them some minutes. While in the Dominican Republic, you are likely to want to change your phone over to one of the local providers. 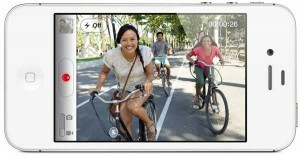 The Main Providers are Claro and Orange. 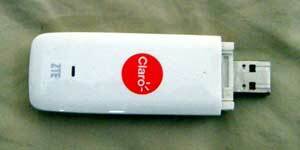 We have friends using Claro, Orange and several of the other prepaid phone companies. So far Claro seems to be the Clear winner in our area. Orange cuts out frequently, and often when you try to call someone who has Orange their phone is not in operation. Orange on the other hand seems to have the upper hand in ease of buying refill cards. If you are in any larger town you will see guys walking around with orange vests on selling Orange cards. They’re pretty hard to miss. Either way, many of the comados sell both Orange and Claro refill card so they are pretty easy to come by. Claro often gives bonus minutes when you buy over 150 pesos at one time. While that may seem like a lot, 150 pesos is a little over $4.00 USD. To ask for them you can just say “tiene tarjeta (tar-yet-a) de Claro?” or “tiene tarjeta de Orange?”, if they say yes say your amount i.e. ciento cincuenta pesos (150 pesos). If you are planning to stay in the Dominican Republic for a while you will likely want to get your own internet service. While you will find internet cafes in almost every little town in the country, you will likely find the cafe to be small, crowded, noisy and everyone sharing an about 1-2 meg download speed. Probably fine if you are planning to pick up your mail, but not real good if you need to spend much time for work, Skype or even internet research. Like in the States, you have two main options, wired or wireless (mobile data plan). I’ve not seen a cable service here offering internet, so likely if you plan on getting a wired service than it will be DSL. This is normally cheaper, and faster than wireless internet and also have the advantage of not having a download cap or limit. However this is only available if you live in the middle of one of the larger towns. If you have opted to stay out on the outskirts of town where it is quieter, you may not have this option.